When you need to understand the market as a whole - learning what types of consumers or need-states exist, how many of each type there are, how to reach each type and predicting their response to changes in the market - you need the insight-boosting power of advanced statistical techniques. At Gray Insight, we use the best and most market-savvy statistical approaches to give you a visceral understanding of your market landscape and a meaningful view of the potential results of future actions that you, or your competitors, might make. 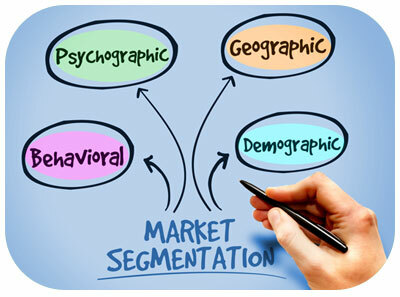 Our array of multivariate techniques includes factor analysis, pricing optimization, market segmentation, conjoint and discrete choice modeling and many others. We don't use a "one-tool-fits-all-situations" approach. Rather, with Gray Insight, you will get a statistical approach that shines the most light on the issues you need to understand. Our quantitative research questionnaires are often refined using the results of either laddering interviews or psychoanalytics research. Both techniques provide a rich source of consumer language regarding brand perceptions, as well as identifying the values, product attributes and benefits that define each product category. Using consumers' own language in the survey means that the resulting brand mapping accurately reflects consumers' perceptions, giving the research recommendations maximum strategic value. The ideal characteristics can then become touchstone elements in future marketing, packaging and promotional efforts, gradually moving the brand toward the most desirable positioning and making the resulting brand image more vivid and motivating among target consumers. Online surveys with the defined target audience, including current customers, prospective customers, competitive customers and even lapsed customers, are a terrific way to collect detailed data in multi-variate statistical analysis.